The Kim Chee Chronicles. Vol 2. I have been in Korea. It has been my first trip to Korea and it was amazing, such lovely, friendly and helpful people. I eventually visited 3 sites where single stone porcelain is currently being mined and used and a 4th ancient site that is now abandoned by the industry, but still worked by the odd individual potter. As an ‘odd’ individual myself, I know what they are looking for. I am lucky to have a fabulous driver/translator to help me get everything done. Thank you Miss Jane, Mr Lee and Miss Kang, I would have no chance of doing any of this on my own here without the necessary language skills and local knowledge that you provided. I am very grateful to all the Koreans that I met who gave me so much assistance and warm friendship along the way on this trip. 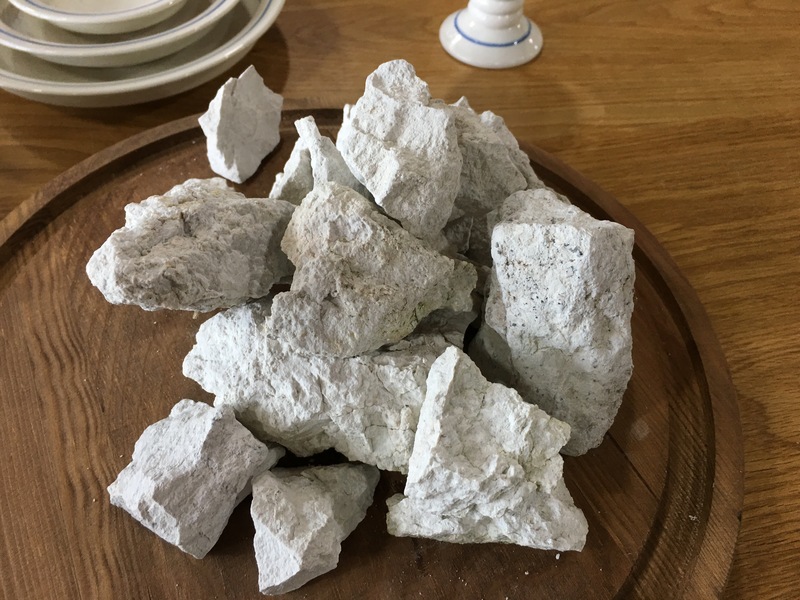 I had been in dialogue with the manager of one old porcelain site in the south that is reputed to be a single-stone porcelain site. The Manager was very dismissive and not really interested in my research project. I wrote politely from Australia, asking for samples and to be able to make a visit. He told me that there is a Korean Government blanket rule that bans the release for export of porcelain clay and/or porcelain stone from leaving the country! He even seemed to be claiming that this ban included porcelain pottery made at the site by outsiders like me. I’m amazed. Is this really true? Am I being sold a pup? Apparently there is some basis in truth in this, others corroborate it. This stone is a National Cultural Property or Asset of cultural Significance. This is an edited, English translation of the reply that I received. I am writing to reply your enquiry. 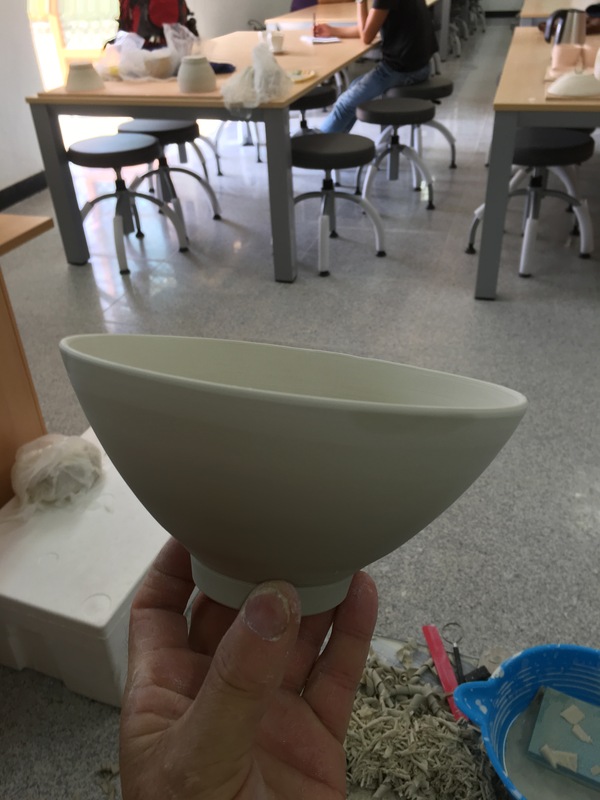 You are able to use single stone as a trial only but you cannot stay in the Porcelain Centre to cure in Kiln or fire, that means you cannot have a complete piece of ceramic. This year we have many exhibitions in the Porcelain Centre and we are very busy at the moment. So, that was pretty comprehensive. I can come and look. I can touch the stuff, but I can’t keep any of it in any form. I ask my Australian/Korean friend what she thinks this means, and am told that I shouldn’t expect anything at all from this guy. She has rung him for clarification and spoken with him directly. In her opinion this man is not going to be helpful to me at any time in the future, He is just not interested. I interpret that this means that I shouldn’t expect any help at all in any way. If I go there and visit the site. I do decide to go to Korea anyway. It’s worth a try. My Australian friend’s brother knows a local potter who is currently under-employed, so will be happy to work as my interpreter, guide and driver for a reasonable set fee per day + costs I agree willingly. What a fantastic opportunity. I arrange to get two rooms booked for us on the first night and then a couple of nights for me in a single, so that I can stay on and work. My interpreter will return to her work. 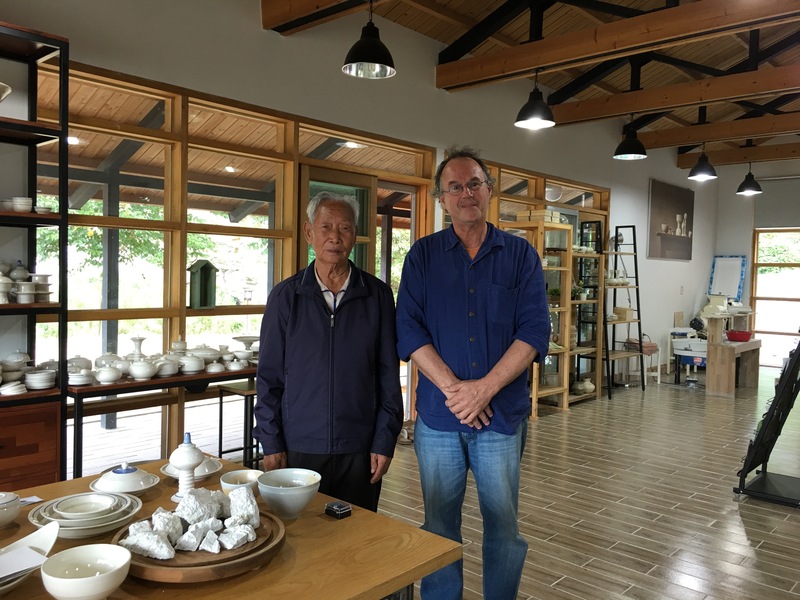 I’m confident that once I meet the director of this ancient porcelain making site, he will soften and will let me stay and work with their clay. Once he sees my dedication, enthusiasm and my long term commitment to this noble cause. As you may have guessed. I’m somewhat naive! We set off on our road trip early, and drive all morning, with only one brief rest stop. We arrive about 11.30. We introduce ourselves. Yes, they are expecting us. We are booked in at the Cultural Centre/Museum’s replica country house accomodation facility. It is actually quite lovely, even though it is a totally fake replica building. It has lots of natural timber. It is very basic, but I don’t mind that. I hope that my guide doesn’t mind. I give her the choice of the larger room. 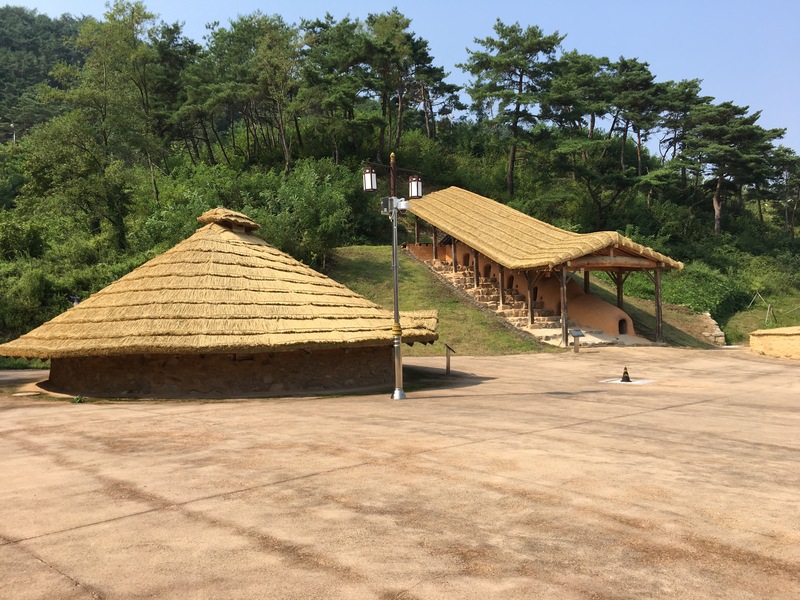 There are a few thatched buildings in the rear courtyard and a climbing chambered kiln. None of which are used. It is some sort of historical display. We are first introduced to the senior man in the front office. He can’t tell us anything positive. He has to ring his supervisor. Eventually the supervisor arrives down from up-stairs. He can’t tell us anything either. He’ll need to consult. He goes outside to call on his mobile. Eventually the Cultural Centres special person whose job it is to stall me arrives and begins his work. He tells me that he has rung the pottery workshop site, but can’t get through. No one is answering. It’s 12.00 o’clock now, so probably at lunch? We are taken on a tour of the facilities. We are shown through the Museum of local single-stone white porcelain material collected from nearby archaeological sites. Then there is a sudden jump to some few items of turn of the century peasant wares, but the majority of the museum collection is comprised of Japanese Satsuma ware porcelain that they have recently purchased from Japan. 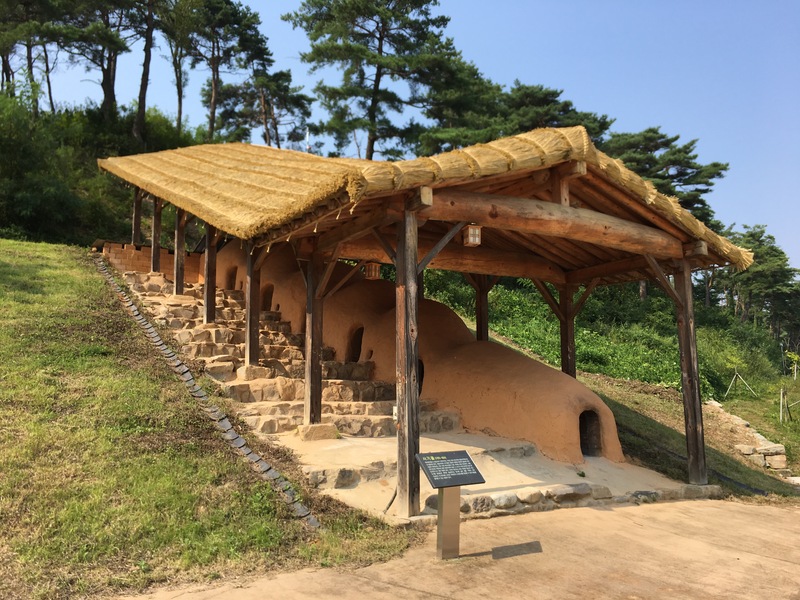 Apparently, one of the Korean potters that the War Lord Hideyoshi kidnapped and took back to Japan during his ill fated invasion of Korea in the late 1500’s was captured from around here. The bold claim made by the Museum Curator is that it is the Korean genetic heritage in this person (whatever small that percentage is after 15 generations abroad) it is this Korean heritage that has made him great. So they are claiming him as their own and this Japanese work is somehow now Korean! This is a very strange experience! But no more strange than Australians claiming famous New Zealanders as being Aussies! Read Russell Crowe, Our Nicole, etc. So, fair enough! Eventually at 2.00pm they are back from lunch at the pottery and someone answers the phone. 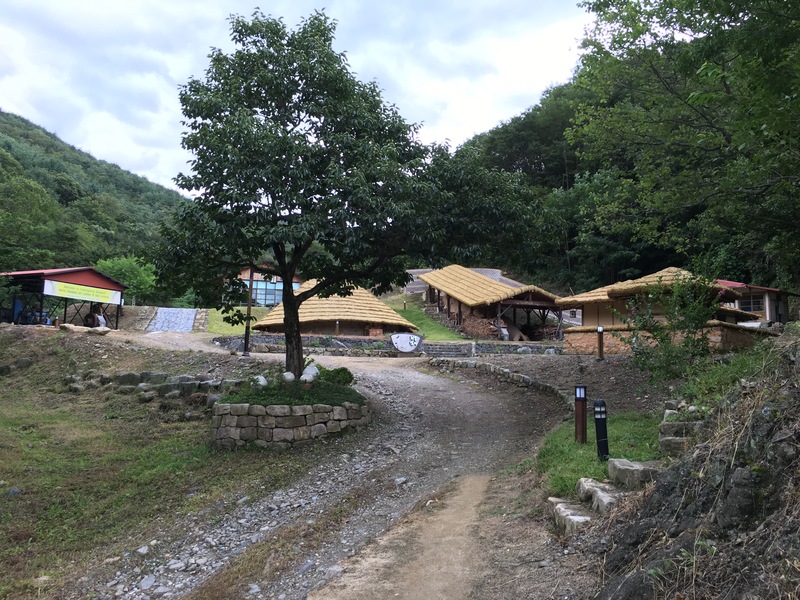 We will be able to go out to the pottery site, up the mountain, about 10 kms away. They are expecting us this afternoon. I thank them warmly for their ‘help’ in the office at the Cultural Centre before we leave. Eventually, we are allowed to go up the mountain, to the pottery. We get to meet the Manager. We get there and he is just as disinterested my requests in person as he was to my Korean friends emails and phone calls from Australia. My translator makes a passionate case for my interests, but it makes no difference. He is not responding positively to any suggestion that I make through my interpreter. I ask my translator to put the point that I have been negotiating with them for 7 months now, surely they are aware of my visit here. Their web site states that a visitor can have a ceramic ‘experience’ for 10,000 Korean Wan. I want to get to feel the substance of the stuff to get an idea of its ‘nature’. I don’t know how my very diplomatic translator conveys this, but …. He relents. Through my interpreter, he tells me that I can ‘experience’ their unique single stone porcelain. That’s great! There is a potters wheel over there in the corner of this spotlessly clean show room, and a pug mill. Can I have a go now? No! It is actually not that simple. I will have to wait until tomorrow. I will be able to try the clay tomorrow at 10.00am. back at the Cultural Centre/Museum. It takes time to organise these things. We are given our leave to wander around the so-called pottery workshop, but nobody seems to be working here. There are no work racks, no work in progress. No ware boards. All the buildings are spotless and very new looking. The white stone seam opposite the pottery building hasn’t been worked for years. There are no clean faces. No workings. No access track to get to the face. It all looks abandoned and over-grown. I do actually get to meet old Mr Go. He is the old potter, now in his 80’s, who once worked here in his youth. He sees us off the premises. All the way down to the gate and I’m not allowed to take even a very small piece of the stone! Before we leave, I seem to be being told to make a written ‘proposal’ to them tomorrow? Even though I already have done this from Australia before I left. I’m a bit confused! Miss Kang and I eat out in the local village a few kms away, down by the river. We choose the equivalent of a tasting plate, or plates. Perhaps a degustation? Except that it all comes at once. 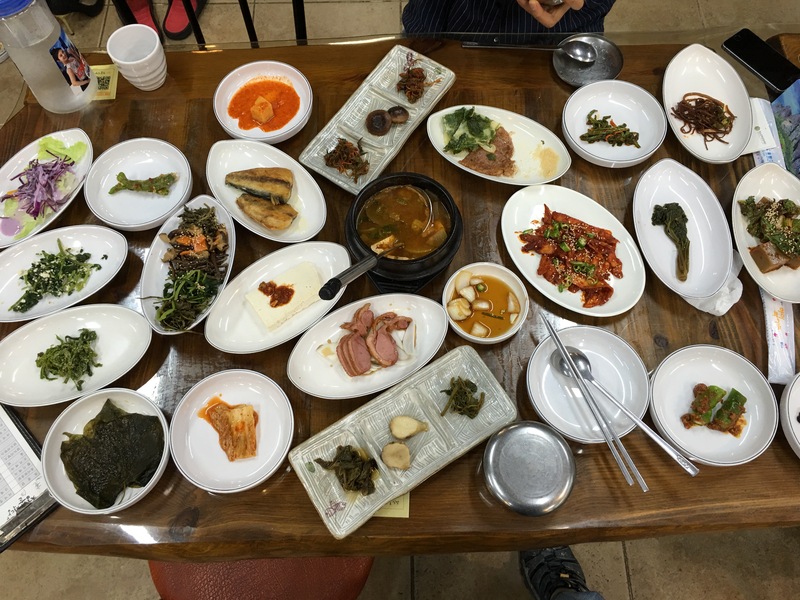 We get a small bowl of rice, a pot of soup to share and then 20 small dishes of pickles and vegetables to go along with it. It’s a wonderful local Korean dining experience. The equivalent of Au$35 for the two of us. We retire to our old fashioned style, but new, farmers house. It’s actually quite cosy inside my room. It turns out that it has a heated floor, which I find to be too hot, so I fiddle with the controls for a while to figure out which buttons do what in Korean. I eventually set it for a more comfortable 22oC, down from 26. We have been told to meet at the museum in town at 10am the next day and we do. A young man turns up with a plastic carry bag with a couple of pugs of clay in it. I’m shown to the pottery room attached to the museum. He leaves me there to try the clay on the wheel. I go behind a partition to change into my clay work-clothes. 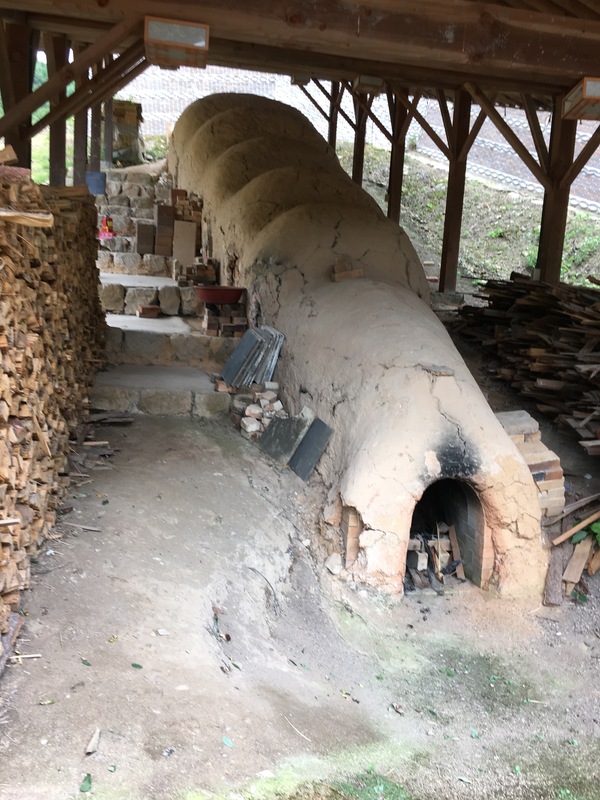 I find a gas kiln in there for firing the porcelain and a clay box almost full of similar pugs of white clay. There is a heap of it here in the clay box. I make a few pots and put them out in the sun to speed dry. I am only allowed this one day to have access to the wheel to make and turn my work. It’s a hot day and I rotate my work every few minutes to get it dry enough to trim without drying too much on one side and then warping out of shape. No matter what I do the stuff curls up and warps in the intense heat and wind. It’s 30oC out there today. After an hour I bring in the first piece and attempt to turn it almost bone dry on the rim, while still being damp down at the foot where it is thicker. It doesn’t show the normal tearing and chipping that I ‘m accustomed to when turning single stone bodies that are a bit damp. Chipping and tearing is a very common trait of single-stone porcelains in all the other countries where I have done this. It didn’t have any real resistance and lack of plasticity that is also so very common with all the other single-stone materials in the world. I turn the two pieces that are the least warped and abandon the third. I get the ‘feel’ of the stuff. It doesn’t feel at all like any milled-stone body that I’ve experienced before. Not to throw and not during turning. When I’m finished trimming, I clean up my wheel and sweep up all my turnings and put them in a plastic basin that I find in the room and place them on the wheel head. I leave my 3 pots on a work board on the table. Just in case someone turns up to weigh all my turnings and 3 pots to account for all the clay that has been issued to me. No one turns up! It must be so very boring for my interpreter to sit and wait all day while I work. 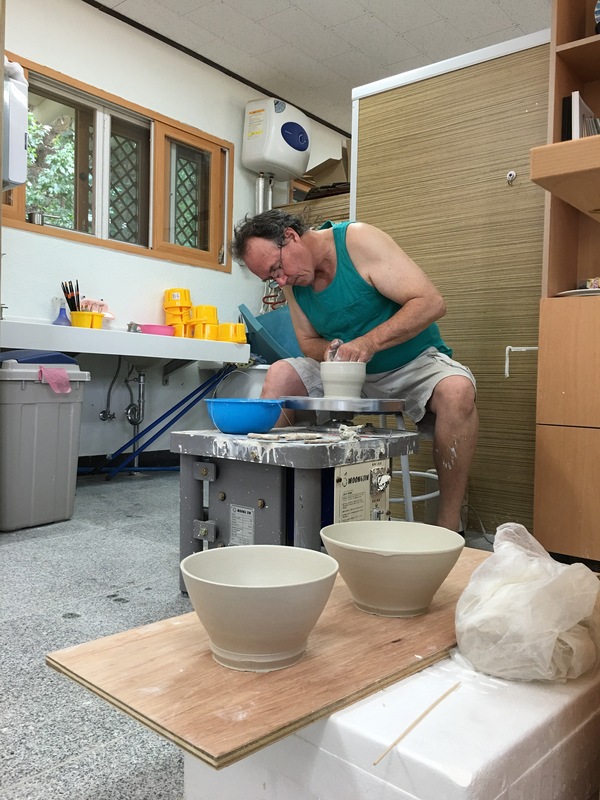 We are joined in the afternoon by a friend, of a friend, of a friend, from Australia, Mr Jaeyong is a potter who is just starting out on his career and wants to know a little about my project. I go to the office and say my goodbyes and thank them all for their help. We go to our cars to drive up the coast to visit another pottery stone site. Perhaps we can find somewhere more obliging. While I was working Miss Kang has been working hard tracking down the next site and making contact. She has been busy all day on her phone. Not wasting time on facebook, but busy working for me in my interests, chasing up leads. Mr Jaeyong is very interested to come along too. 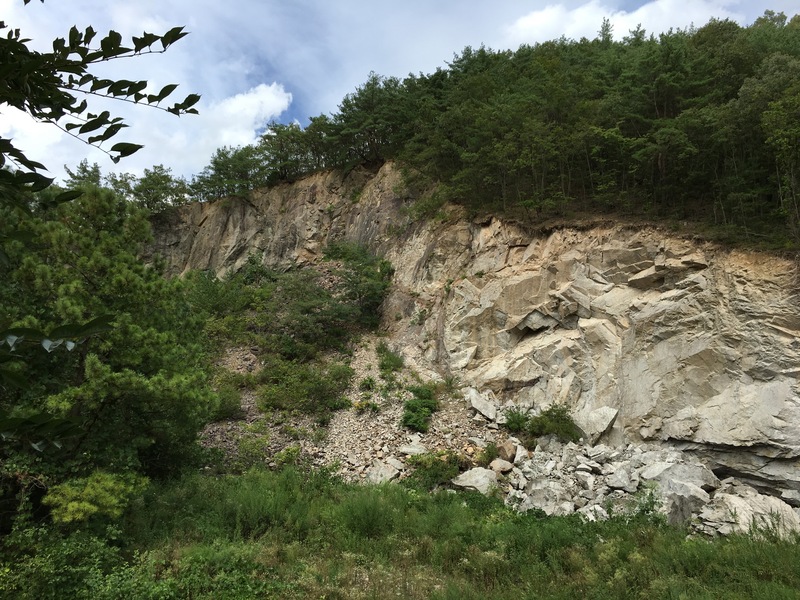 There is a quarry up the East coast. An ancient site where pottery stone has been mined for eons. 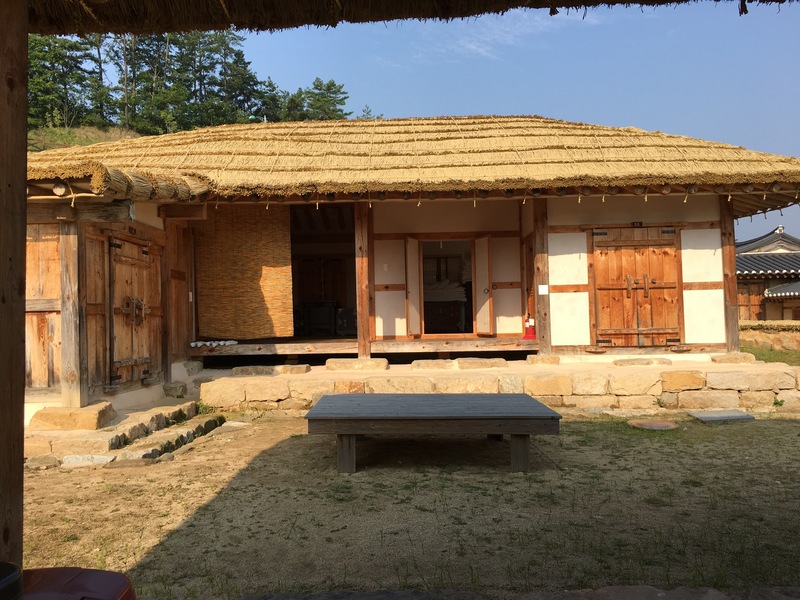 There is no functioning pottery on the site, but the single-stone material is used extensively all over Korea for glazes and clay bodies. Mr Jaeyong lives not too far from there and doesn’t know of this porcelain stone site. He is offering for us all to stay at his house over night and to go to the site together tomorrow. I ask my translator, Miss Kang if she has the time? She makes a phone call. Yes, she can spare me another day. It’s all arranged. I’ll just leave this southern site out of my exhibition. I can always use the Yeo Ju porcelain work that I have already made to represent Korea in my show. Plus, I still have another 3 places to investigate yet. So we get in our cars and drive off. I can’t say that I’m not disappointed, I am. But I was warned! Still, it could have been better. Such is life. Lets get going!